The Courtyards at Brawley Point is a brand new active lifestyle community in Mooresville, North Carolina. This low-maintenance community of just 30 homes enjoys a convenient location near Interstate 77 and easy access to great recreational opportunities at Lake Norman. This Mooresville community encourages social and recreational activities among residents. While there is not a community clubhouse, there are plenty of ways to mingle with neighbors and entertain family and friends. Once completed, residents will have access to the Brawley Point Community Pavilion. There, you will find an outdoor fireplace, grill, and picnic tables. With landscaped common areas, scenic ponds and fountains along walking trails it s easy to appreciate North Carolina's picturesque appeal. Epcon Communities opened this community in early 2014 with plans to contain only 30 single-family homes featuring main-level living offered with open floor plans and private outdoor areas, ideal for entertaining. True to Epcon s reputation, The Courtyards at Brawley Point offers quality homes with low-maintenance exteriors. There are three floor plans that are between 1,519 and 2,769 square feet in size. 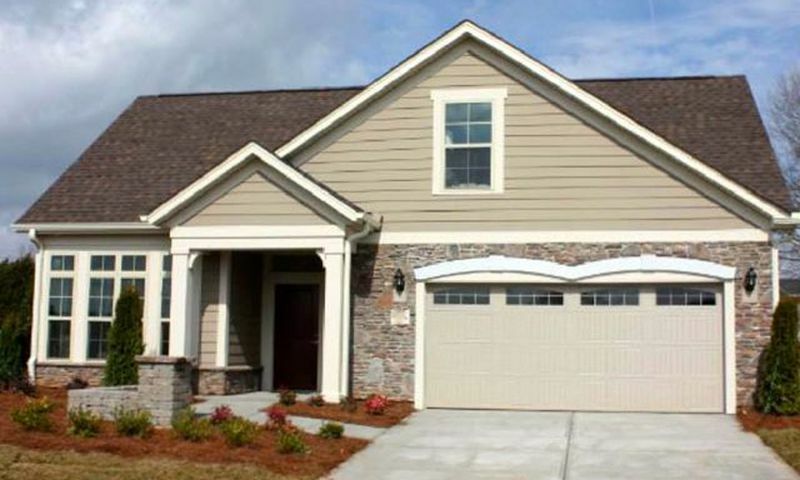 All models have at least two bedrooms, two bathrooms, and an attached garage. Second-level bonus suites offer additional living spaces for guests or can be utilized as an extra entertaining area. Homebuyers will appreciate that the homeowners association (HOA) handles nearly every maintenance chore. The fee includes exterior home maintenance and repair, lawn mowing and edging, lawn fertilization and weed control, yard irrigation, weekly trash removal, driveway repair, pest control, as well as flower and shrub upkeep. These great HOA services encourage a carefree lifestyle where you have the time to enjoy all of your favorite pastimes. The Courtyards at Brawley Point in Mooresville enjoys a convenient location just 30 miles north of Charlotte. When traveling is on your agenda, it s easy to get to Charlotte Douglas International Airport due to the community s close proximity to I-77. Closer to home, residents have an abundance of outdoor recreational opportunities with Lake Norman nearby. Whether visiting the Memory Lane Motorsports and Historical Automotive Museum, dozens of restaurants, or shopping areas you'll never run out of things to do while living in Mooresville's newest low-maintenance Epcon community. Check back soon for more information on the lifestyle in The Courtyards at Brawley Point. The Courtyards at Brawley Point will feature just 30 homes. These homes include first-floor master suites and low-maintenance exteriors. Epcon offers three floor plans that have between 1,519 and 2,769 square feet of living space. Available bonus rooms offer extra living space for guests or an additional area for entertainment. 55places.com is not affiliated with the developer(s) or homeowners association of The Courtyards at Brawley Point. The information you submit is distributed to a 55places.com Partner Agent, who is a licensed real estate agent. The information regarding The Courtyards at Brawley Point has not been verified or approved by the developer or homeowners association. Please verify all information prior to purchasing. 55places.com is not responsible for any errors regarding the information displayed on this website.